There are beds available for rent in a large 3-bedroom house in the beautiful area of Ranelagh in Dublin. The house has a pretty courtyard garden as well as a spacious, comfortable living-room and a dining-room that also serves as a place to do laundry. Ranelagh is a much sought-after rental area with its well-known restaurants and bustling bars. Nearby are the neighbourhoods of Rathgar, gorgeous and exclusive, and Rathmire, more alternative and urban. 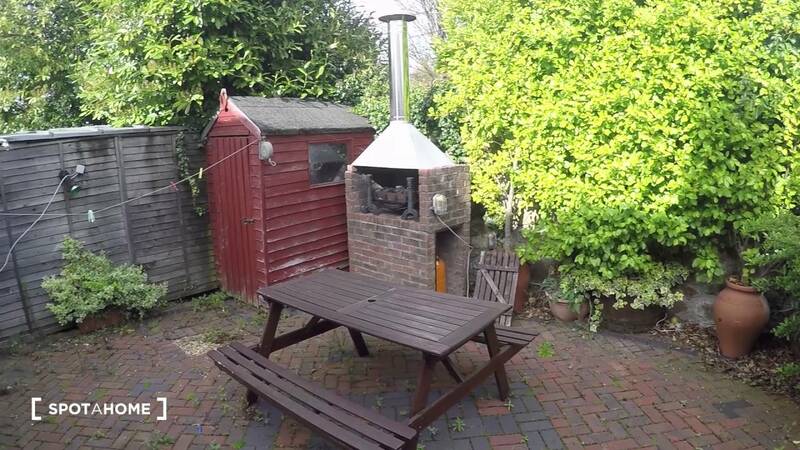 The garden is a fantastic addition to this property, with two barbecues, perfect for the summer. The dining-room, with its glass roof, is a unique extra feature, allowing you to host dinner parties. There is a bath as well as a shower so you can relax after a long day studying or working. The area of Ranelagh is peaceful but also has plenty to do. There is no parking with this property but there is public transport within walking distance. Price shown is per bed. Other beds may be rented to people you do not know. This property is 10 minutes from the Cowper tram stop, which is served by the Green line. There are also several bus stops nearby.